From the world’s highest mountain to emerald bays dotted with limestone islands, when it comes to natural attractions, Asia is hard to beat. Around DB, an original and leading community magazine dedicated to the residents of Discovery Bay, has named Ha Long Bay in Vietnam's northern Quang Ninh province the number one destination among five Asian holiday places with wow factor. “Few places have been photographed as much as UNESCO World Heritage-listed Ha Long Bay famed for its towering limestone karsts and isles surrounded by emerald waters. Home to almost 2,000 islands and countless species of wildlife, such as the endangered golden-headed langur. 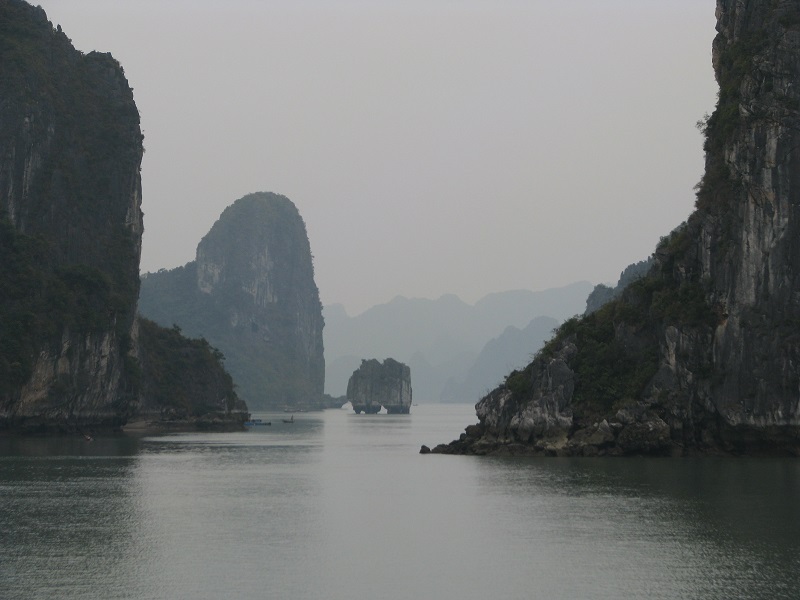 Ha Long is a nature lover’s paradise,” Around DB wrote. Swimming in the bay is banned for environmental reasons, however you can still immerse yourself in the mesmerizing nature while kayaking or walking through the many caves, Around DB said. On the list, Ha Long Bay is followed by Zhangjiajie (China), the Himalayas (Nepal), Palau, Mount Bromo (Indonesia). Earlier, The New York Daily News, a US newspaper based in New York City, has just named Ha Long Bay the number one destination among 15 natural wonders to see before they disappear. People go to Ha Long Bay expecting an active adventure. The UNESCO World Heritage Site puts explorative kayakers amidst striking limestone islands, rugged rock formations and low caves as a must do activity when visiting Ha Long Bay. The bay in the Gulf of Tonkin includes 1,600 islands and islets. Most of them are uninhabited and unaffected by a human presence. “Unfortunately, increased flooding in the region has caused coal-fired power plant run-off to stream into the bay. Also, extreme weather contributes to quicker erosion,” The New York Daily News wrote.